The House of Commons Standing Committee on Veterans Affairs released a report in December looking at services the Canadian Armed Forces and Veterans Affairs Canada provide to members being released from the military (see page 64 of March/April issue). Specifically, the report looks at these services from the point of view of veterans and their families. The committee, chaired by Liberal MP Neil Ellis, found distrust exists with VAC along with a feeling that the department has a culture of saying “no.” It suggests that much of the feeling is based on old impressions and does not take into consideration improvements made by the department. But recognizing that this is an impression, many of the report’s 18 recommendations, look at issues where trust can be improved. An important point made by the report is that veterans coming out of the service are not reintegrating into civilian life in the same way as those who served in the military during the Second World War and the Korean War. 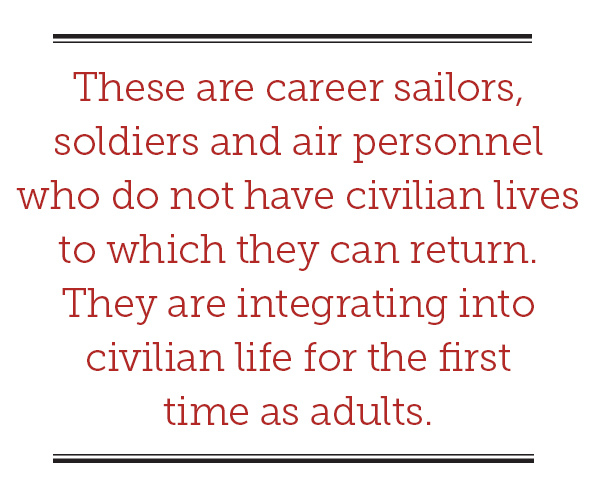 These are career sailors, soldiers and air personnel who do not have civilian lives to which they can return. They are integrating into civilian life for the first time as adults. For those leaving the military, the various programs offered by both CAF and VAC can seem complicated and full of paperwork and bureaucracy. One recommendation the committee makes is that VAC should develop a one-stop or “concierge service” so that veterans and their families have one point of contact, or one person, who co-ordinates the various benefits and programs available to releasing members of the CAF. This would lead to a better harmonization of transition programs between VAC and the CAF. 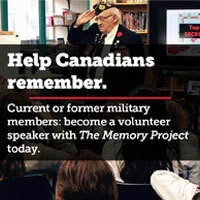 Another recommendation, one that has long been advocated by The Royal Canadian Legion, is that veterans receive an identification card that could be carried in a wallet and easily presented whenever there is a discount or benefit offered to veterans. The committee recommends that a veteran’s identity card be issued to a CAF member at the beginning of military service. The card would allow VAC to open a “My VAC Account.” The member’s medical records could all be connected to the account, along with proof of their service and a record of injuries. When the veteran feels he or she needs assistance from the department, the file is already started. The committee also looked at long-term care. VAC provides contract beds in veterans facilities where it pays a portion of the building costs plus the difference between what the provincial government provides and the actual cost of the care. However, there is a great difference between those who served in the Second World War and the Korean War and those who have served in more recent times. Older veterans do not have to demonstrate the link between military service and disability while more recent veterans do. Modern-day veterans have access only to community beds in provincially licensed facilities offering long-term care. The difference is that these facilities do not have an exclusive veterans section and VAC does not pay costs related to the building. It pays only the difference between what the provincial health-care system provides and the actual cost of the care. This, in effect, creates two classes of veterans. While many recent veterans prefer community beds closer to their families and friends, others would prefer to have the camaraderie and shared military experience of other veterans to break the isolation. The committee recommends VAC review its long-term care strategy and offer contract beds to all modern-day veterans who need them. The recommendations of this report are sound and many have been made before. There is no need for the government to study these issues further. It is time for the government to show leadership and act on these issues.